Being a nurse is one of the most selfless acts a person can undertake. That is also why nurses are considered as the heart of healthcare. 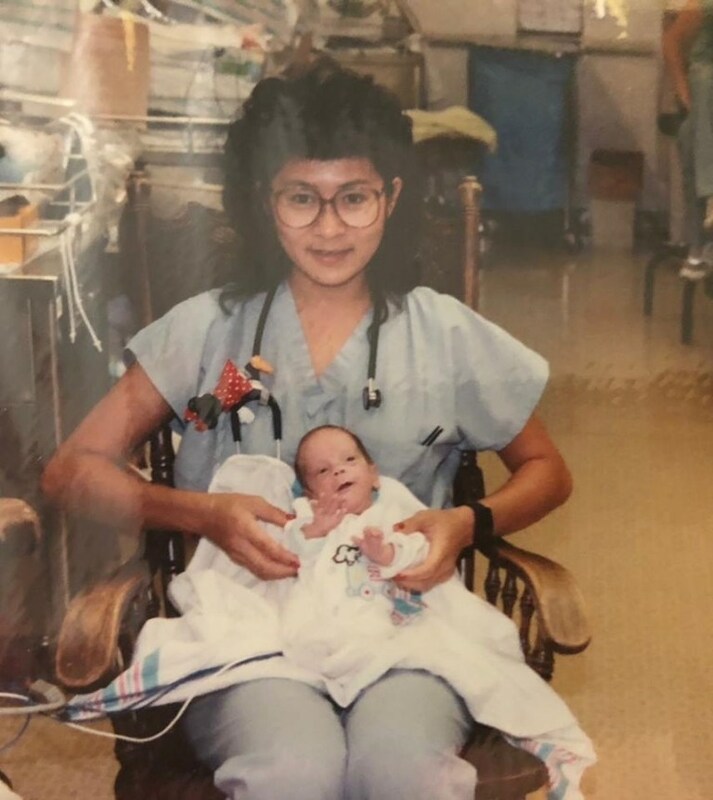 Take a look at this amazing story of a NICU nurse from California who recently discovered that the premature baby she once cared for 28 years ago is now working with her in the same hospital. Nurse Vilma Wong of neonatal intensive care unit (NICU) once took care of a preterm baby. She didn’t think much of being a nurse because it is her job for quite a long time until she meets one baby she took care almost three decades ago. 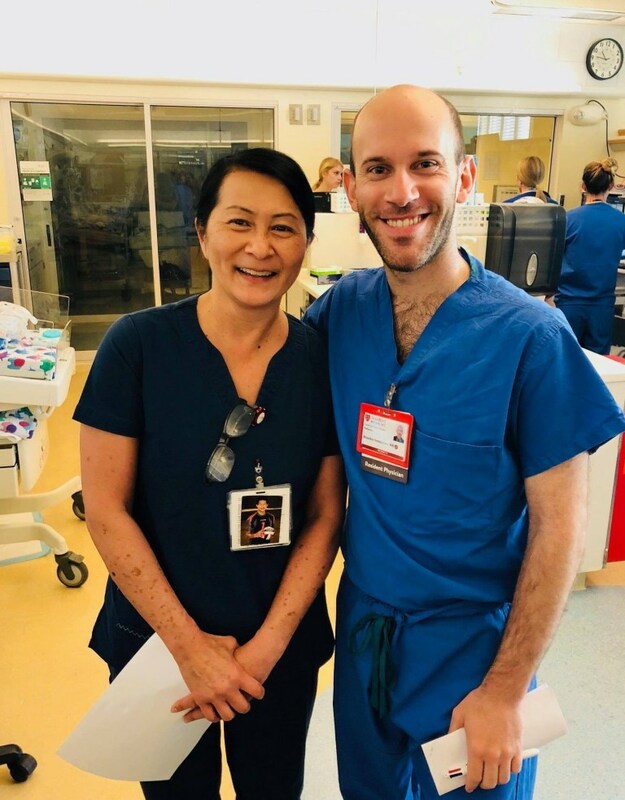 Fast forward today, the preterm baby is now a pediatric resident and they are working in the very same hospital he was born, Lucile Packard Children’s Hospital at Stanford, California. The 28-year-old pediatric resident doctor couldn’t believe he got to meet the nurse who took care of him. The nurse also shared about their reunion. Nurse Vilma continued to ask questions to Brandon that leads the pediatric doctor to slowly realize that she could be his NICU nurse. 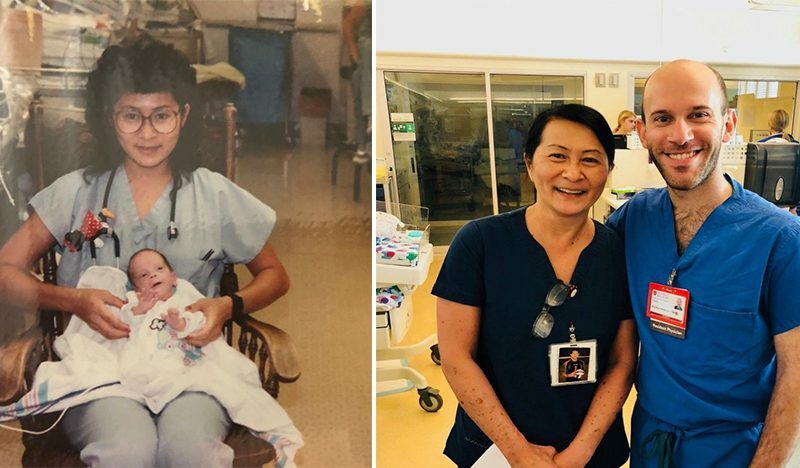 The hospital where Nurse Vilma and doctor Brandon are working also shared photo of the nurse holding him as a baby together with their current reunion photo. Such a wonderful story! Their heartwarming reunion captured the hearts of many netizens.